Few people enjoy the sticky, sweaty feeling of a hot and humid summer’s day. The added moisture in the outdoor atmosphere feels like a heavy blanket of heat that makes going about your daily activities rather unpleasant. While everyone knows the irritation of humid weather, fewer people realize that the air inside your home can also become too humid. High indoor humidity might not be as noticeable to your senses as outdoor humidity, but don’t underestimate it– humid indoor air can wreak havoc on your home’s structure and your family’s well being. Keep an eye out for signs of high indoor humidity. If you notice any of the following clues, it might be time to waterproof your basement or invest in a crawl space dehumidifier. When moisture gets into walls, floors, and even your clothes, bacteria and fungi can start to grow. Mildew is a particular concern in humid indoor environments. Too much of this growth can create a lingering sour or musty smell. Even if your eyes can’t detect the moisture problem, your nose may be able to. When your indoor air is laden with moisture, condensation might develop on your windows when the outdoor air is cool. The cause of the high humidity could even be your windows themselves– when windows aren’t properly sealed, or if the casings are too old, moisture from the outdoor environment has a chance to seep inside. Mold loves a damp environment. As such, black or greenish spots on your walls and ceiling is a surefire sign of high indoor humidity. 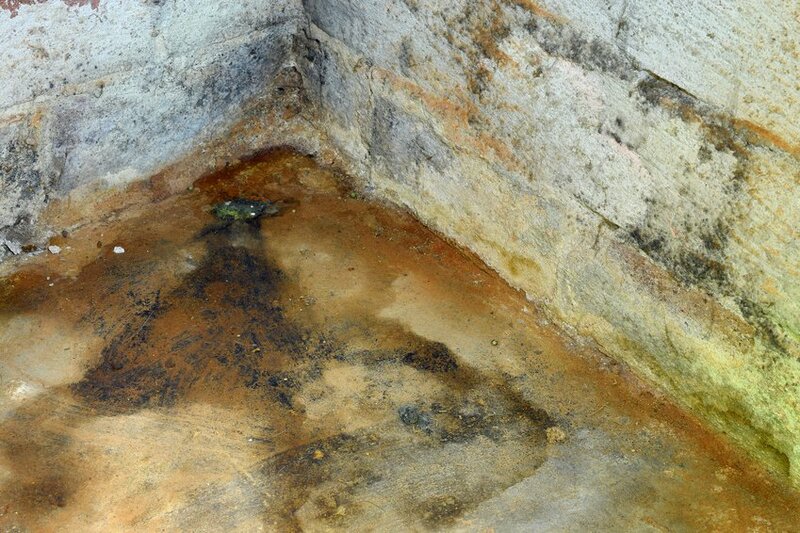 Though mold removal can help this problem, you’ll likely need the help of basement waterproofing experts to prevent mold from returning. The wood used throughout your home’s structure survives best in dry conditions. Observe the wood elements throughout your home to determine if you have a moisture problem– cracks in furniture, bowed wood floors, crumbling window casings, and even rotting beams are all signs of high humidity. Finally, if your family members seem to have recurring allergy or asthma problems, take a close look at your home’s humidity. Even the occasional sniffles can indicate a moisture problem since about 93% of chronic sinus infections can be attributed to mold. If you notice any of these issues in your home, high humidity levels are putting your indoor air quality at risk. Take action to protect your family’s health and your home’s structural integrity, and contact basement waterproofing experts today.